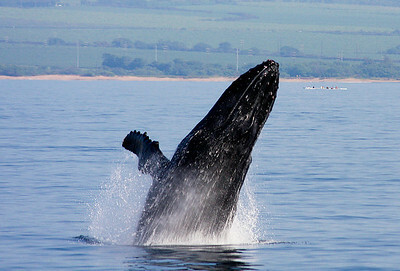 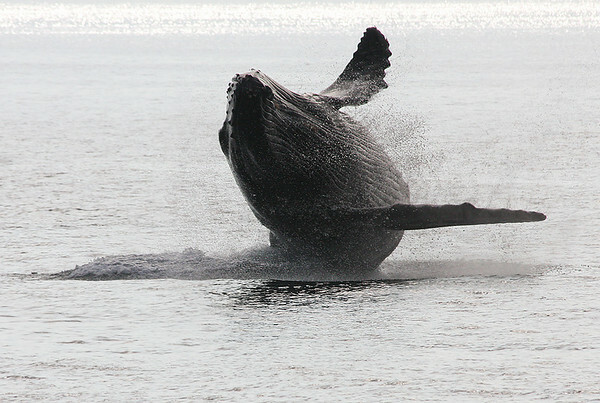 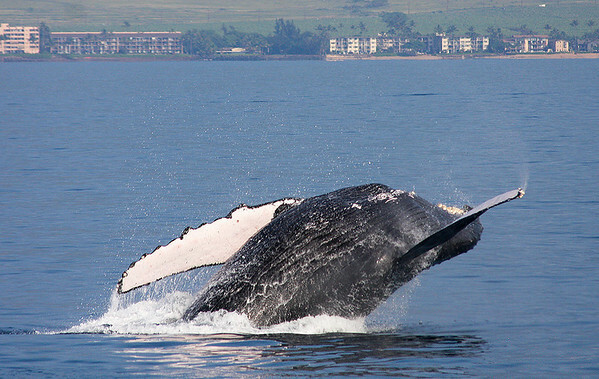 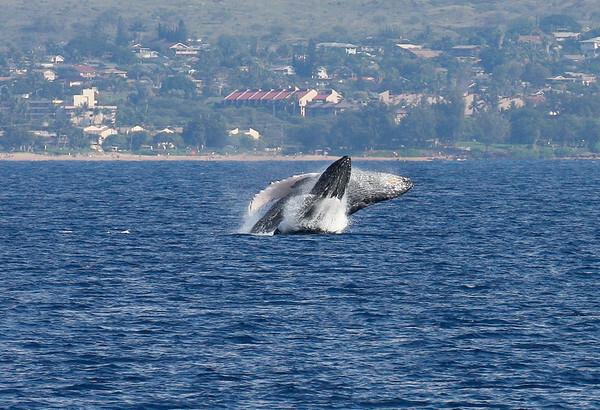 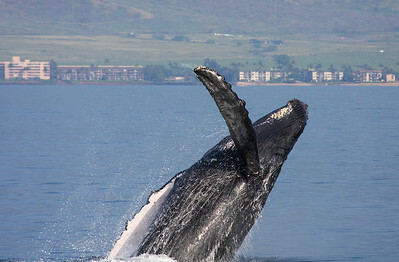 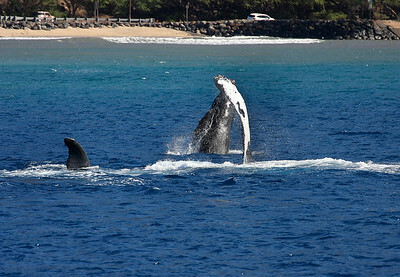 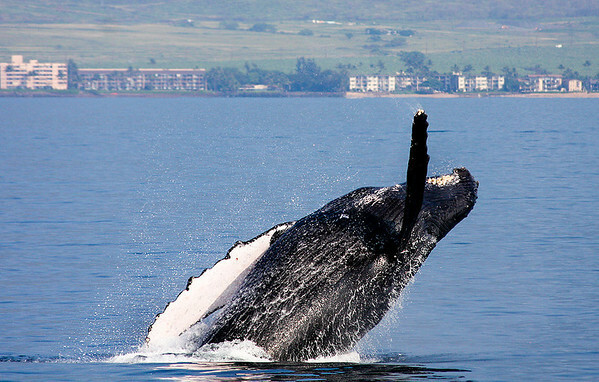 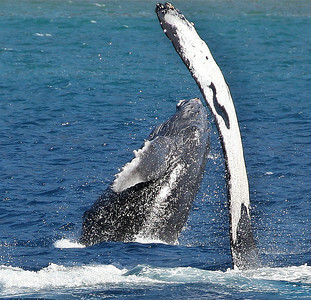 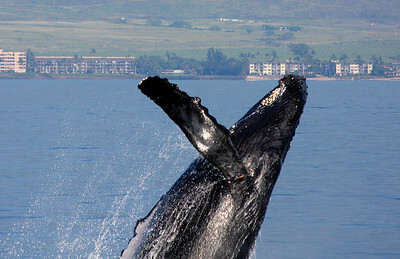 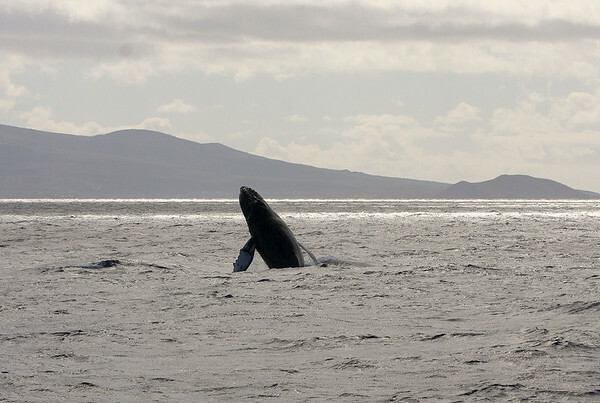 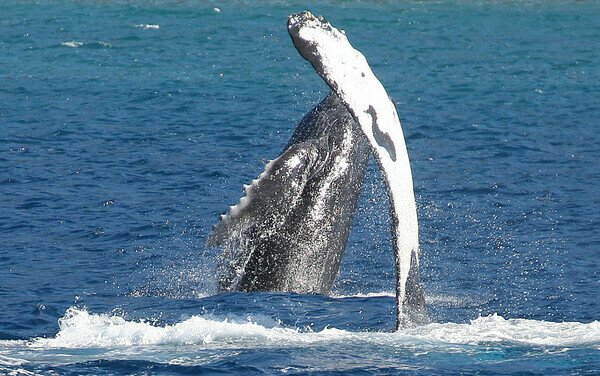 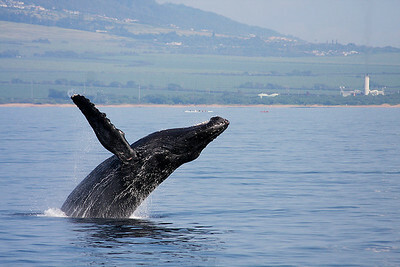 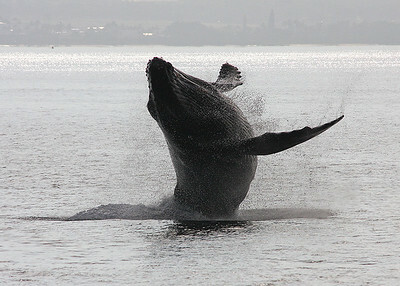 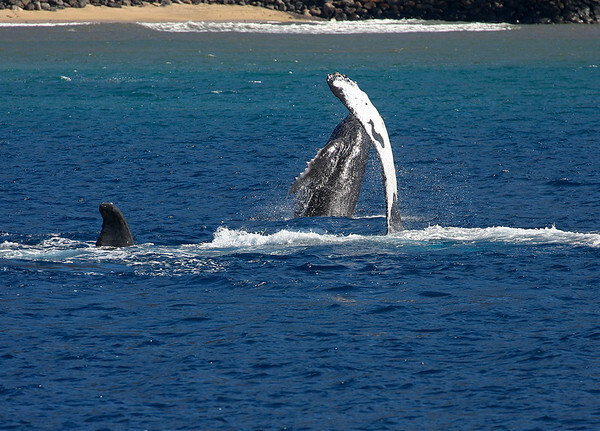 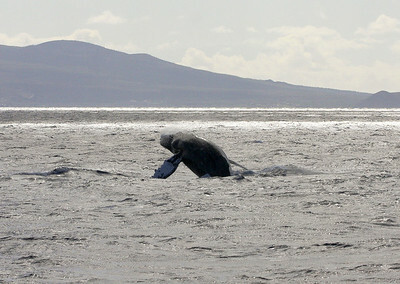 This shot is the first of a series of shots of the same whale; it was taken on a day in February when I witnessed and photographed more breaches IN A SINGLE DAY than I had seen in more than five years of whale watching on Maui!A Humpback rolls over onto its back, completing a near-360-degree rolling breach. 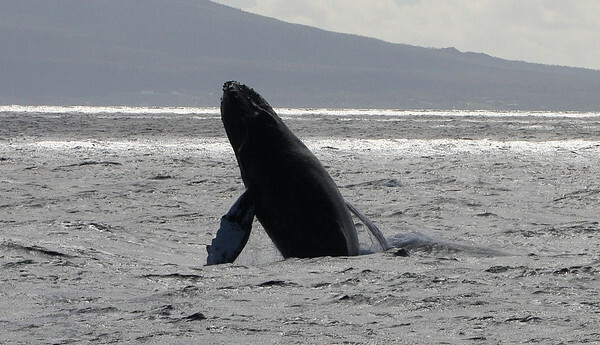 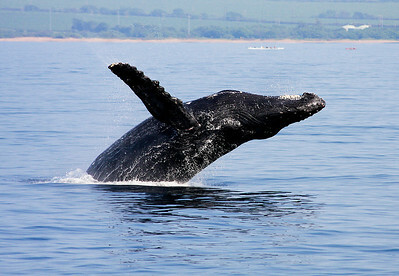 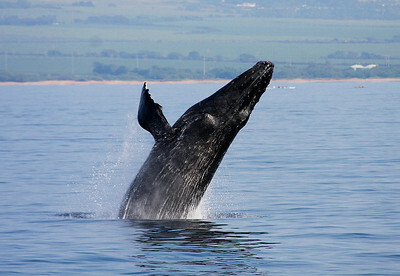 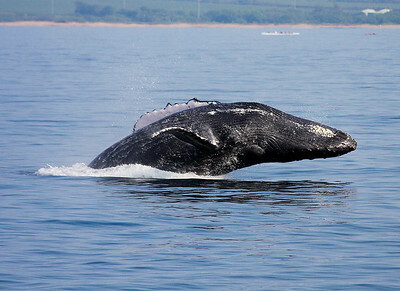 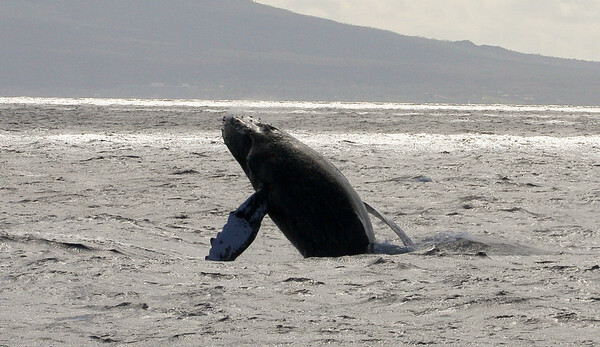 The pink blotches at the base of the pectoral fin are minor cuts and scrapes caused by the force of the impact on the water's surface after multiple breaches. 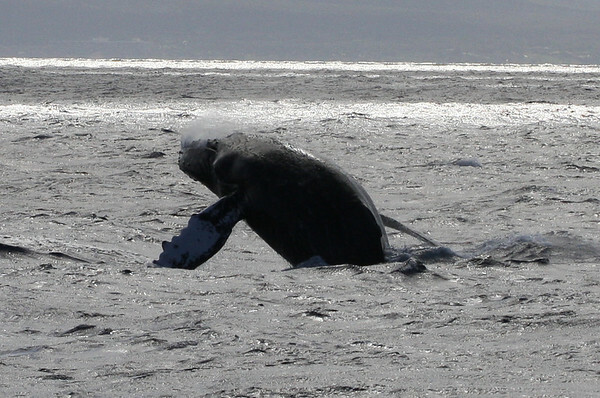 Also visible is a nice crop of barnacles (round white blotches) encrusting the whale's lower jaw.